The water pump only operates when the engine's running. Water pump failure is pretty routine. We see it often at West Texas Automotive. Some start failing at around 40,000 miles/64,000 km, but most fail by 100,000 miles/160,000 km. Consult your owner's manual or friendly and knowledgeable service advisor at West Texas Automotive to see what's recommended. So how can Midland drivers tell when the water pump is failing? If you can hear a low-pitched grinding sound coming from the water pump, it's got a problem. If you can see coolant in that area, you've got a leak. Some water pumps are driven off the timing belt. They might be under a plastic cover so you can't see the water pump. Look for coolant on the driveway. If you see some, have West Texas Automotive check it out. West Texas Automotive can replace a failed water pump with a brand spankin' new one or with a rebuilt pump. 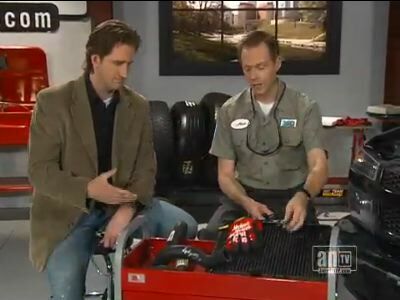 Rebuilt will save you some money, but ask your service advisor at West Texas Automotive what he thinks. Don't feel too bad if your water pump gives out. They will all wear out eventually. We can get you back on the road and on with your life. The cooling system keeps Texas vehicle's engines from overheating while they are driving around Midland. Its job is to move heat away from the engine. Let's talk about the various components of the system and how they make this happen. 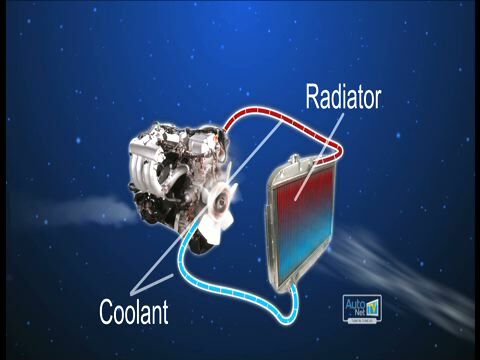 The radiator is the part most Midland drivers associate with the cooling system. Coolant flows through the radiator which has fine cooling fins that draw the heat out of the coolant and dissipate it into the air. To make sure there's enough airflow over the radiator, a fan pulls air over the cooling fins even when the vehicle is idling. The final component the team at West Texas Automotive wants to point out is the overflow reservoir. This bottle is designed to hold some of the coolant. It'll have a mark that indicates whether or not you have enough coolant. This is where you should add coolant if you just need to top it off. Cooling system failure is the most common mechanical failure in vehicles around Midland, Texas. At West Texas Automotive, we can do a periodic inspection of the components for leaks, loose connections and weakening hoses. Your vehicle manufacturer has also specified a cooling system service interval. With a cooling system service at West Texas Automotive in Midland, the old coolant is replaced with correct clean fluid that contains the additives required to prevent corrosion. The additives are depleted over time and you need fresh fluid for adequate protection. Your radiator pressure cap should be replaced at this service as well. Midland auto owners may know that most automotive failures in Midland, Texas, are tire related, but do you know the second most common cause of vehicle failure? Nope, it's not teenagers. It is the coolant system. But if you take good care of your vehicle coolant system, it will take good care of you. The right mix of water and antifreeze protects the engine against damage from freezing and overheating. Antifreeze also protects the coolant system against corrosion that could cause the system to fail. The thing to remember is this: coolant system failure is very common, but it is also very easy to prevent. Your Midland service center knows the manufacturer's recommendations and can tell you when the coolant needs to be changed. 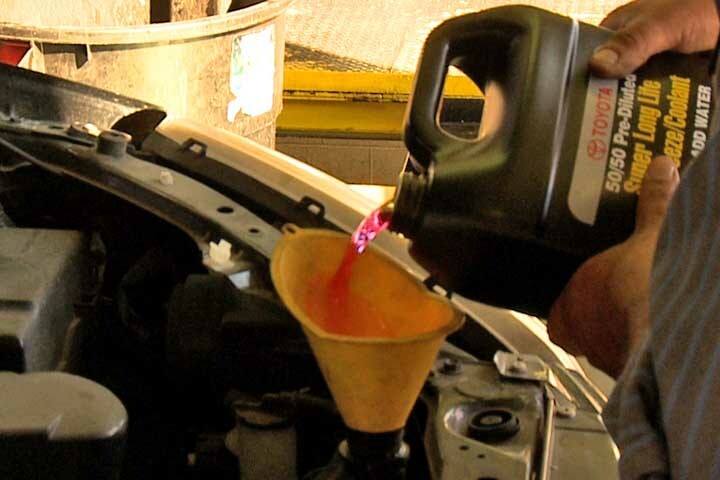 At West Texas Automotive in Midland, we can perform a coolant system service. Midland auto owners can add water or antifreeze to the bottle themselves but should be careful. First, you never want to open the radiator pressure cap. The steam could severely burn you. Second, try to get to West Texas Automotive in Midland immediately if your coolant is low. If that is not possible, follow the directions in your owner's manual. Third, remember that you need a proper mixture of water and antifreeze or you will damage your engine. If you make an emergency addition to your cooling system, follow-up with a service advisor at West Texas Automotive where they can make necessary corrections. Fourth, not all cars use the same type of antifreeze. Midland technicians will need to check their vehicles owner's manual to make sure they use the right kind. Mixing antifreeze types or using the wrong kind of antifreeze may void the manufacturer’s warranty on your vehicle cooling system. 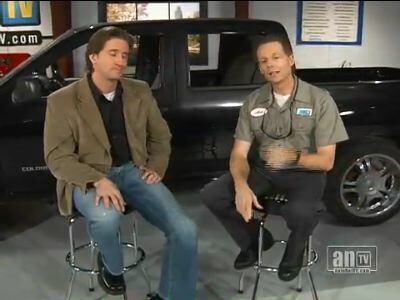 If you're not sure, ask your friendly and knowledgeable service advisor at West Texas Automotive for guidance. And all the while, it has to protect the components of the cooling system from corrosion. These components are made from steel and aluminum, plastics and rubber. The coolant has to be formulated to protect against corrosion for all of these different materials. That's why vehicle manufacturer’s recommend different types of anti-freeze for our Midland, Texas, vehicles. There are several different 'families' of anti-freeze available to us here in Midland. Your owner's manual will tell you what kind you should use. Of course, the automotive professionals at West Texas Automotive will know the right kind for your vehicle. It's important to stay on top of this because coolant system failure is the most common mechanical problem people have here in Midland, Texas. Regular service needs to be done at West Texas Automotive to avoid failures and also to keep your warranty in place. While the specifics of the service required may vary from vehicle to vehicle, your friendly and knowledgeable West Texas Automotive service advisor will know what to do. You'll be advised to replace the coolant at specified intervals. Engines get hot when they run. This heat can build up and damage vital engine parts, so engines need a cooling system to keep them running. Cooling system failure is the most common mechanical failure in vehicles. This is unfortunate, because these failures are usually easy for Midland drivers to prevent. Insufficient coolant can lead to engine failure. Coolant levels need to be checked regularly and topped off as necessary. If coolant levels drop quickly or consistently, the cooling system should be inspected for leaks. Coolant/antifreeze contains additives that protect the radiator and other coolant components from rust, scale and corrosion. Over time, these additives are depleted, so it is necessary for Midland drivers to replace coolant at specified intervals. Changing coolant should be part of routine preventive maintenance for any vehicle. This service is often ignored, though, since old coolant still cools the engine. Vehicle owners don't realize there is a problem until the system fails. They are left with major repairs and possibly a damaged engine, which could have been prevented with a cooling system service at West Texas Automotive in Midland. Topping off in an emergency, however, does not fix the problem. The vehicle should immediately be taken to West Texas Automotive in Midland where they can inspect the cooling system, repair any leaks and clean it if necessary. They can identify what caused the emergency situation in first place and ensure it doesn't happen again. Regular maintenance of a vehicle's cooling system is just good auto advice for Midland drivers. Cooling system service is relatively inexpensive and doesn't take long at West Texas Automotive. Lack of it, however, can put a vehicle in the scrap heap. Talk to our service advisor at West Texas Automotive for more information. Midland drivers rely on their vehicle's coolant system to keep their engine cool. Coolant (also called antifreeze) mixed with water flows through your vehicle engine and absorbs heat. The mixture then flows out to the radiator where it's cooled by air flowing over the radiator. From there the coolant/water mix circulates back through the engine to absorb more heat. Also, if it's freezing outside in Midland, the water in your engine could freeze while your vehicle is sitting out in the Texas cold. Coolant, or antifreeze, is specially formulated to keep your engine safe in a wide range of environmental and operating temperatures in and around Midland. This is why it is critical that Midland drivers check coolant levels frequently and have their vehicle's cooling system inspected for leaks. Also your vehicle has a maintenance requirement for draining and replacing your coolant. These recommendations can vary widely, so check your owner's manual or ask us at West Texas Automotive in Midland. The reason Midland drivers need to change the coolant is that it has additives in it to protect the cooling system. As you can imagine, with all the heat, the cooling system's a pretty harsh environment. The additives keep the fluid from becoming corrosive and damaging the radiator and other vehicle cooling system components. Over time, the additives are depleted and the coolant just has to be replaced. Many Midland auto owners ask our advisors at West Texas Automotive why there are different colors of antifreeze. 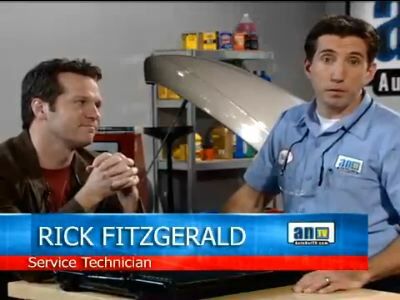 It is very important that you use the correct type of antifreeze. The different types of antifreeze – or coolant – are different colors so you don't mix them up. So check with us at West Texas Automotive in Midland or your owner's manual for the right kind because using the wrong coolant can void the warranty for your vehicle cooling system. The coolant system is a vital part of your vehicle. It is also the second most common cause for vehicle failures. Even though coolant system failure is fairly common in Midland, it is easy to prevent. Another coolant issue that is often overlooked by Midland drivers is the age of the coolant itself. Antifreeze has additives that protect the coolant system from corrosion. As these additives are depleted over time, they can't protect the radiator and other parts from rust, scaling and corrosion. That old container of coolant gathering dust in your garage may still keep your engine cool, but it won't protect it from corrosion. Second, get to West Texas Automotive in Midland immediately if your coolant is low. If that is not possible, follow the directions in your vehicle owners manual - it will direct you to only make additions to the coolant overflow bottle. Third, remember that you need a proper mixture of water and antifreeze. If you make an emergency addition to your cooling system, follow-up with your West Texas Automotive service center where we can make necessary adjustments. Fourth, not all cars use the same type of antifreeze. You need to check your vehicle owners manual to make sure you use the right kind. Mixing antifreeze types or using the wrong kind of antifreeze may void the manufacturers warranty on your cooling system. Again, another reason to depend on your West Texas Automotive service center in Midland to do things right. Remember, West Texas Automotive has the equipment to change your coolant quickly and inexpensively.